Oculus has announced it finally rolled out its long-awaited ‘Expressive Avatars’ update across both Oculus mobile and PC platforms. 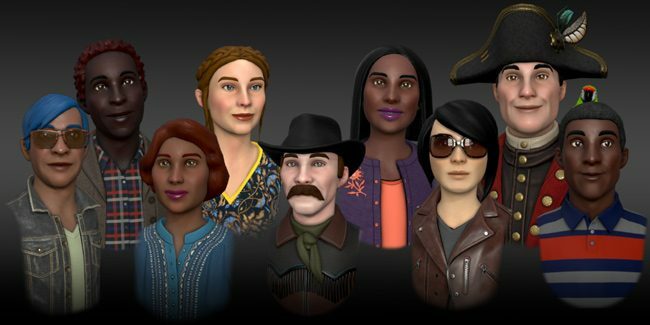 The new update is a significant upgrade to Oculus Avatars, which the company first launched back in 2016 as a way to deliver true social presence and interaction with persistent identities across the Oculus ecosystem. With the latest update to their Oculus Avatars platform, ‘Expressive Avatars’ now delivers a much greater sense of realism and expressive behavior to avatar models than ever before, thanks to the addition of better-simulated eye and mouth movement, as well as enhanced facial micro-expressions that helps to bring an avatars face model to life. Oculus has made a vast improvement in the way avatars render mouth and eye behavior, as well as the subtleties of people’s expressions and movements during speech, and at rest. To achieve this new level of realism, the company says ‘Expressive Avatars’ are the “culmination of user feedback and years of research and innovations in machine learning, engineering and design.” Since these avatars were designed without the need of a camera to track a users eye movement or face, the Oculus Avatar team had to develop algorithms to accurately simulate how people talk to, and look at, objects and other people when they engage in social interactions—and the result is quite impressive. Along with the ‘Expressive Avatars’ update, Oculus is also introducing a new Avatar Editor, which includes a wider range of enhanced personalization options allowing users to make their avatar more unique to their own personal identity with things such new skin tones, lip and eyebrow color, hairstyles, clothing, and eyewear. Oculus Home already supports the new ‘Expressive Avatar’ update, but “in the coming days and weeks” ahead third-party apps like Poker Stars VR, Tribe XR DJ, and Epic Rollercoaster are all expected to support the new avatars. The ‘Expressive Avatars’ update is available now on Oculus Rift and Oculus Go headsets. And of course, we will likely see support coming to the upcoming Oculus Quest standalone headset when it releases soon this spring.